Facilitated detection of threatening visual cues is thought to be adaptive. In theory, detection of threat cues should activate the amygdala independently from allocation of attention. However, previous studies using emotional facial expressions as well as phobic cues yielded contradictory results. We used fMRI to examine whether the allocation of attention to components of superimposed spider and bird displays modulates amygdala activation. Nineteen spider-phobic women were instructed to identify either a moving or a stationary animal in briefly presented double-exposure displays. Amygdala activation followed a dose–response relationship: Compared to congruent neutral displays (two birds), amygdala activation was most pronounced in response to congruent phobic displays (two spiders) and less but still significant in response to mixed displays (spider and bird) when attention was focused on the phobic component. When attention was focused on the neutral component, mixed displays did not result in significant amygdala activation. This was confirmed in a significant parametric graduation of the amygdala activation in the order of congruent phobic displays, mixed displays with attention focus on the spider, mixed displays with focus on the bird and congruent neutral displays. 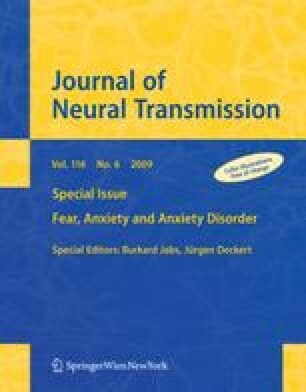 These results challenge the notion that amygdala activation in response to briefly presented phobic cues is independent from attention. The pictures used to prepare the double-exposure pictures shown in this study were graciously provided by Wolfgang Miltner, Jena. This work was supported by the Research Group Emotion and Behavior which is sponsored by the German Research Society (DFG).